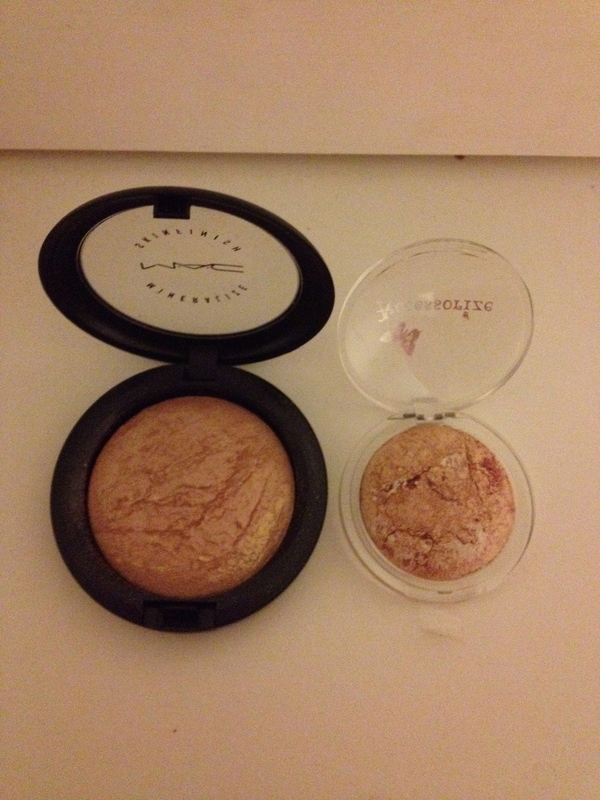 What do Mac’s Mineralize Skin Finish in Soft and Gentle and Accessorize’s Merged Eyeshadow in Golden Caramel have in common? Admittedly on paper these two products are completely different. 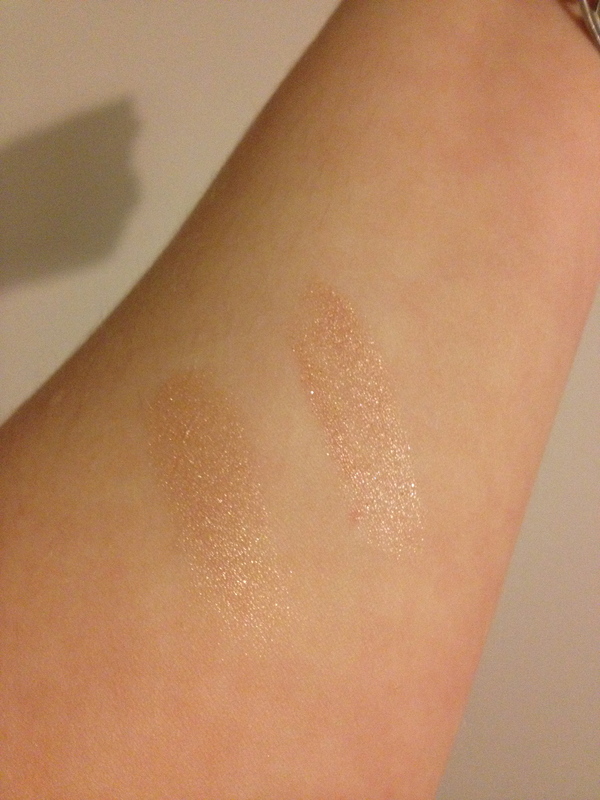 One is a highlighter and the other is an eyeshadow but when swatched these two become one. Ok, so they’re not identical, but I’d say they are pretty damn close. 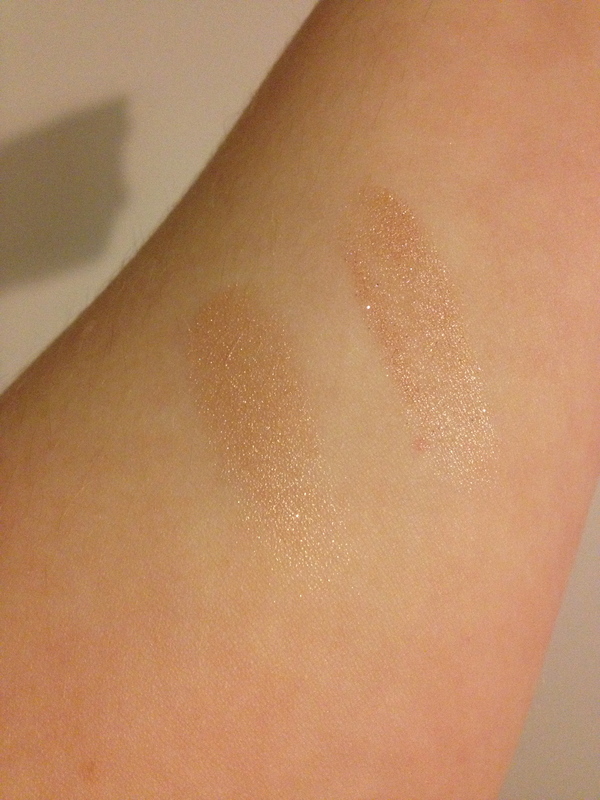 For anyone wondering the left-hand swatch is Mac and the right-hand swatch is Accessorize. So aside from looks how do these two stack up against each other? 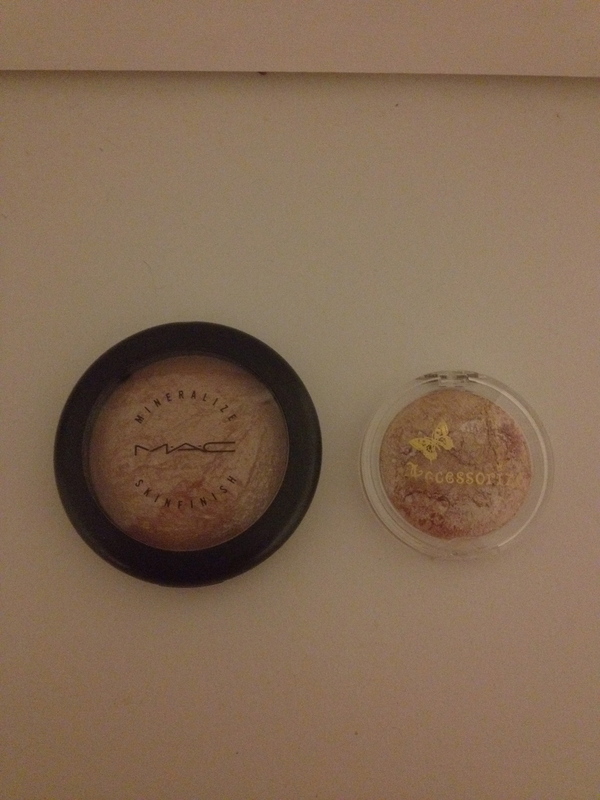 Obviously the MSF is a lot bigger, packing a full 10g rather than the 3g found in the Accessorize Merged Eyeshadow but then the price of the MSF is a lot bigger too. The Accessorize Merged Eyeshadow retails for just £3.95 compared to the £21.50, that’s a £17.55 difference! You can currently find Accessorize Merged Eyeshadow at Superdrug in their 3 for 2 offer.